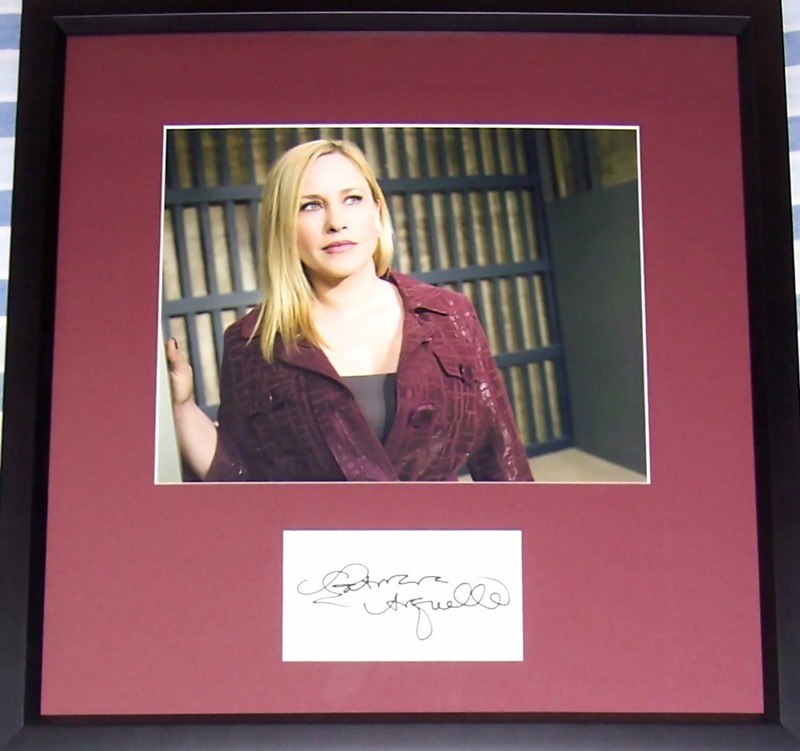 Patricia Arquette black marker autograph on plain white paper professionally framed with an 8x10 color photo of her from her hit TV show Medium, ready to hang. ONLY ONE AT THIS PRICE AVAILABLE FOR SALE. Obtained in person. With certificate of authenticity from AutographsForSale.com.